Another popular tire setup for the WR250R is to run Pirelli MT-43 Trials Tires front and rear. These DOT legal tires were designed for trials-type riding and competition, but their excellent performance on hard, wet and dry terrain makes them perfect for dual sport use. 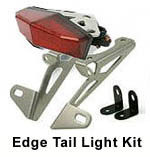 They provide long-lasting performance, excellent grip on virtually any type of terrain, and are very affordably priced. One side benefit is a tread pattern that has a minimal impact on soil. One of the more popular tire setups for the Yamaha WR250R is to run a Pirelli MT-21 (size 90/90-21) on the front and a Dunlop D606 (size 120/90-18) on the rear. The MT-21's work great on the front of the WR250R and will often go 5000 miles before they need replaced. The D606's work great on the rear of the WR250R. 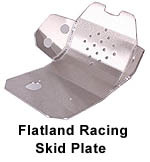 They are best suited for off road use, but their tread compound is engineered for good highway durability and grip. You should get around 3500 miles out of one. Both tires are DOT approved. NOTE: The Pirelli MT-21 tire is billed as a 90% off-road / 10% on-road design. 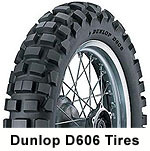 If you think you will be riding alot on the street, you might want to consider a Dunlop D606 Front Tire (size 90/90-21) to match the Dunlop D606 in the rear. They seem to work better on the street.